Brooklyn 11211 › What IS Con Ed Up To On River Street? What IS Con Ed Up To On River Street? So what’s in store for this site? 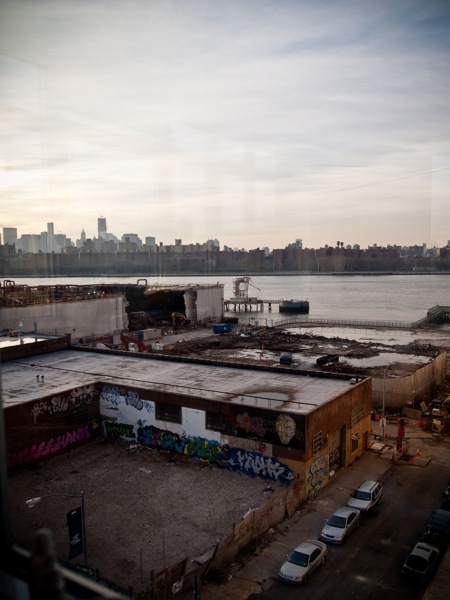 Could it be the site of the recently-rumored Williamsburg Whole Foods (I’m betting not)? Some other development (I’ve heard rumors that CineMagic’s Riverfront Studios is expanding somewhere “within a few blocks” of their Kent Avenue/South 9th Street studios, though I doubt this is that site)? Or is Con Ed just going to mothball it like they have their other waterfront site, the former BRT Power Plant at Division and Kent? Or perhaps Con Ed will do something truly useful for the community and turn the site over for a waterfront park and esplanade? It would make a fantastic extension of the esplanade at 184 Kent to the north, wouldn’t it?